When and Where was Charles Dickens Born? 7th February 1812, Mile End Terrace, Portsmouth, Hampshire, England. Charles Dicken’s father John Dickens was a Pay Clerk in the Royal Navy who married Elizabeth Barrow in 1809 at St. Mary-le-Strand, London. William Giles’s School. Wellington House Academy, London. 1812: Family move in June to 16 Hawk Street, Portsmouth. 1813: Family move in December to 39 Wish Street, Southsea. 1814: Dickens’s brother Alfred born and died September. 1815: Family move to London as John Dickens is posted back by Navy. Live at Norfolk Street, St. Pancras. 1817: John Dickens is posted first to Sheerness then Chatham Dockyard in Kent. Family move to 2 Ordnance Terrace, Chatham. 1821: Family moves to St. Mary’s Place. Dickens begins school. Writes a tragedy “Misnar, the Sultan of India”. 1822: John Dickens recalled to London. Settle at 16 Bayham Street, Camden Town. 1823: Family moves to 4 Gower Street North. Mrs. Dickens attempts to start a school without success. 1824: Dickens sent to work at Warren’s Blacking Factory. Father arrested for debt and sent to Marshalsea Prison where he is joined by wife and younger children. Dickens lodges with family friends. On father’s release family moves to 29 Johnson Street, Somers Town. 1825: Father retires from Navy and Dickens sent to school. 1827: Family evicted for non-payment of rates. Dickens goes to work at Ellis and Blackmore’s Solicitors then Charles Molloy’s Solicitors. Birth of brother Augustus. 1828: Father works as a reporter for the “Daily Herald” newspaper. 1829: Family move to 12 Norfolk Street, Fitzroy Square. Dickens works as a freelance reporter at Doctor’s Commons. 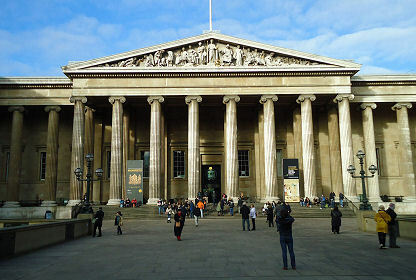 1830: Admitted as a reader at the British Museum. 1831: Dickens begins work as a reporter for “The Mirror of Parliament” edited by his uncle J.M. Barrow. 1832: Reporter at the “True Sun” newspaper. Illness prevents him attending auditions at Covent Garden. 1834: Becomes reporter on the “Morning Chronicle” and meets Catherine Hogarth. Takes rooms at 13 Furnival’s Inn, Holborn. 1835: Becomes engaged to Catherine Hogarth. 1837: Birth of first child Charles, on 6th January. Moves to 48 Doughty Street. Visits France and Belgium. 1838: Second child Mary born. 1839: Dickens resigns editorship of “Bentley’s Miscellany”. Third child Kate born. Moves to 1 Devonshire Place, Regent’s Park. 1841: Fourth child Walter born. Declines an invitation to be Liberal parliamentary candidate for Reading. Granted the Freedom of the City of Edinburgh on 29th June. 1842: Visits America with Catherine and Cornwall later in the year. 1844: Fifth child Francis born. Breaks with previous publishers Chapman and Hall and moves to Bradbury and Evans. Lives in Genoa, Italy. 1845: Visits Rome with Catherine. Sixth child Alfred born. 1846: Becomes Editor of the “Daily News”. Resides in Lausanne and then Paris. 1847: Dickens returns to London. Birth of Seventh child Sydney. 1848: Death of sister Fanny. 1849: Eighth child Henry born. 1850: Ninth child Dora born. Founds the Guild of Literature and Art with Bulwer-Lytton to help writers and artists who have fallen on hard times. 1851: Catherine ill and is treated at Malvern, Worcestershire where Dickens visits her. Death of Father and baby Dora. Family move to Tavistock House. 1852: Tenth child Edward born. 1853: Holiday in Boulogne. Visits Switzerland with Wilkie Collins. 1856: Returns to England to live at Gad Hill Place, Chatham, Kent. 1857: Hans Christian Andersen visits Dickens at Gad’s Hill. Holidays in the Lake District with Wilkie Collins. 1858: Separates from his wife. Embarks on a provincial reading tour. 1860: Katey Dickens marries Charles Collins. 1863: Charity readings at the British Embassy in Paris. Death of Walter Dickens in India. 1865: 9th June, involved in a serious railway accident at Staplehurst, Kent with Ellen Ternan. 1867: Begins a reading tour of the U.S.A.
1868: Leaves New York for England. 1869: Reading tour broken off because of illness. 1870: January, twelve farewell readings in London. Dickens is received by Queen Victoria on the 9th March. 1838: “Memoirs of Joseph Grimaldi”. “Oliver Twist.”. “Sketches of a Young Gentleman”. 1840: “Sketches of Young Couples”. 1841: “Barnaby Rudge”. “The Old Curiosity Shop”. 1842: “American Notes for General Circulation”. 1844: “The Chimes”. “A Goblin Story”. “Martin Chuzzlewit”. 1845: “The Cricket on the Hearth”. 1848: “Dombey and Son”. “The Haunted Man”. 1851: “A Child’s History of England”. 1859: “A Tale of Two Cities”. 1870: “The Mystery of Edwin Drood”. 2nd April 1836 to Catherine Hogarth at St. Lukes Church, Chelsea. 9th June 1870, of cerebral haemorrhage, at Gad’s Hill, Near Chatham, Kent, England. 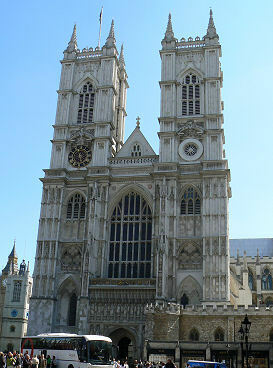 Poet’s Corner, Westminster Abbey, London, England. Stayed at No 35 St. Jame’s Square and the Saracen’s Head, Bath. Gave readings in the Assembly Rooms, Bath. Birthplace Museum, 393 Old Commercial Road, Portsmouth, PO1 4OL. Gad’s Hill Place, Rochester, ME3 7PA. (home). Charles Dickens Centre, Eastgate House, Rochester. Pegwell Bay Hotel, Pegwell Bay. (mentioned in “Sketches by Boz”). Bleak House Museum, 2 Victoria Parade, Broadstairs, CT10 1QS. 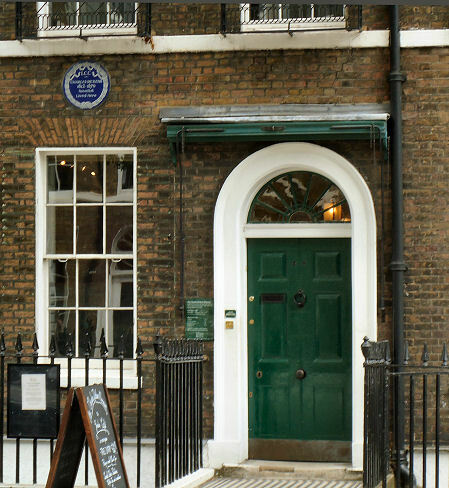 Dickens House Museum, 48 Doughty Street, Bloomsbury, WC1N 2LX. George Inn, Southwark. (mentioned in “Little Dorrit”).